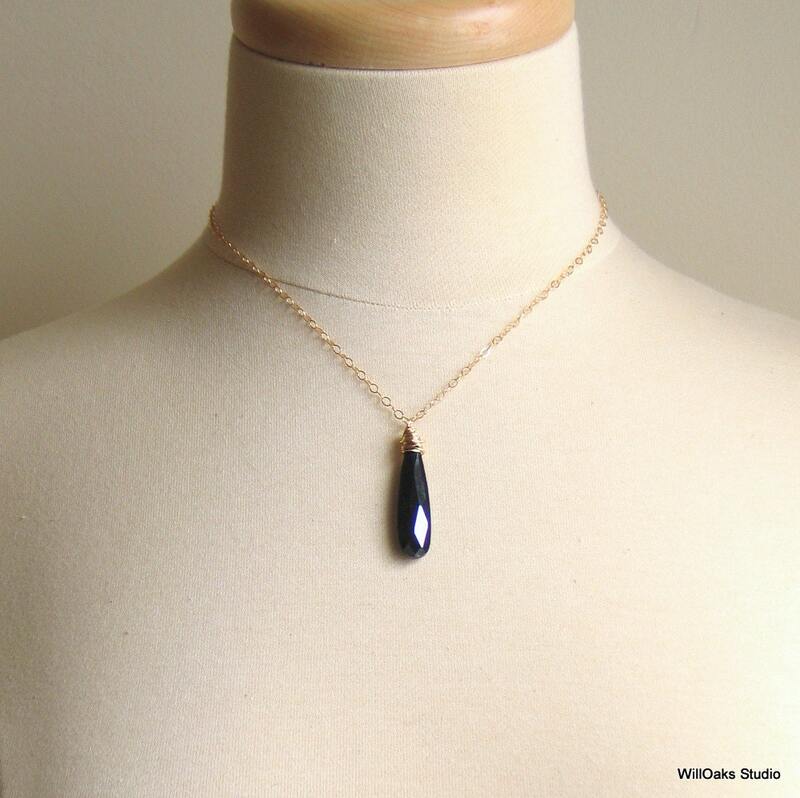 A long narrow pendant of faceted cubic zirconia (CZ) is wire wrapped with 14-20 gold filled wire or sterling silver to hang from a matching 16 1/2" precious metal chain with a matching spring clasp. 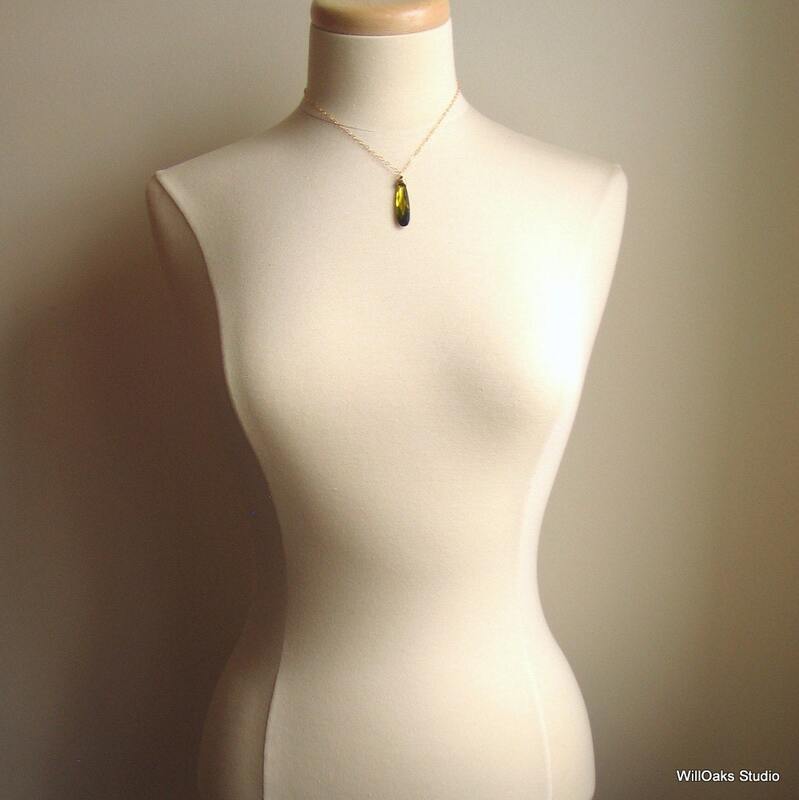 Made to be worn simply alone or to be layered with other chains and pendants to add sparkle to your day. 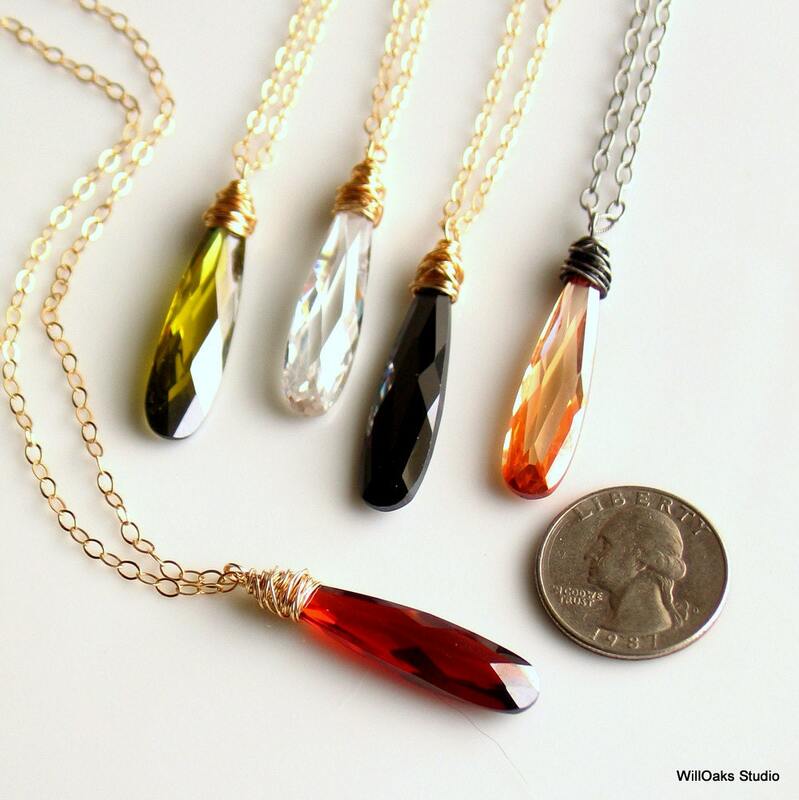 Beautifully faceted with brilliant clarity, these pendants are about 1 5/8” long & 3/8” wide. 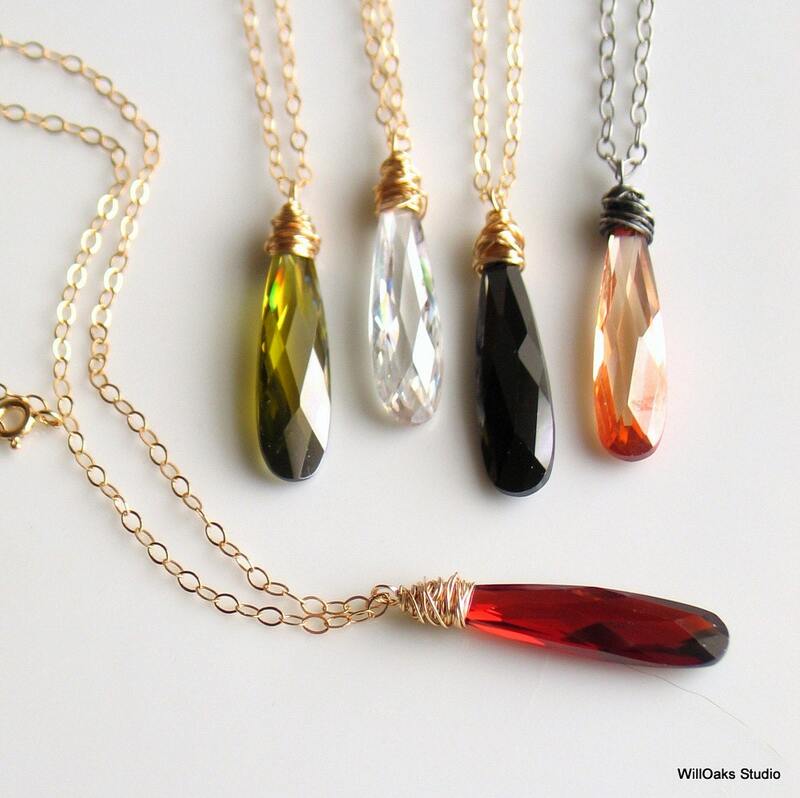 Offered in solid black with gold filled, clear with gold filled, olive green with gold filled, clear red with gold filled, and clear champagne with oxidized sterling silver. These are ready to ship as I have one in each color made & ready to mail. 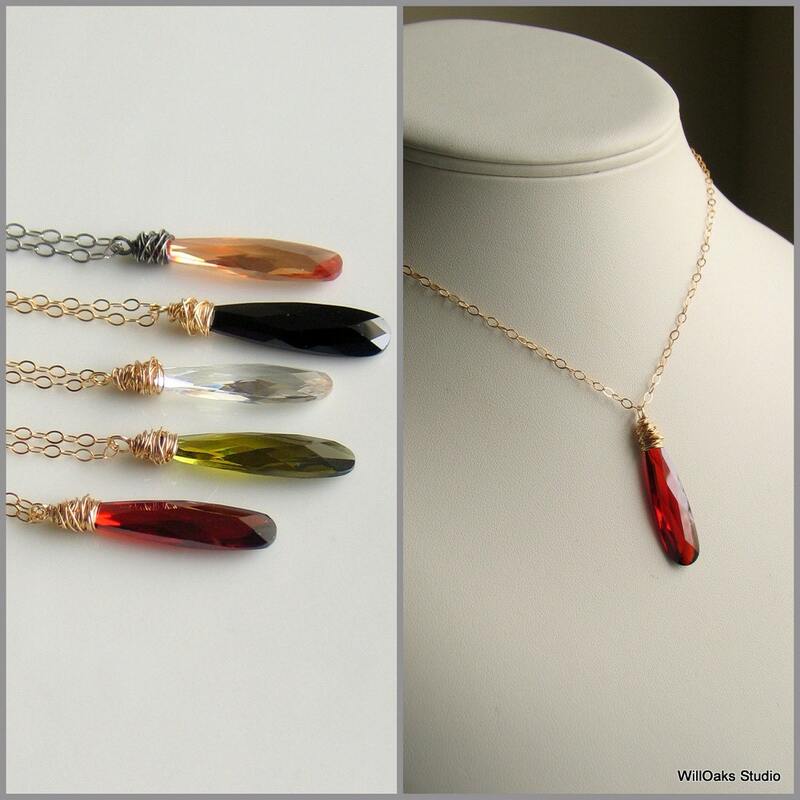 If you need to order more than one of a single color, please contact me here on Etsy as I am only listing these one at a time so no mistakes are made in my inventory availability. Cubic zirconia--a man made alternative to diamonds--is so hard, it sparkles and is very durable. It measures 8 to 8.5 on the mohs hardness scale, while a real diamond measures 10, so it's a harder stone than most! Presented in my signature gift box, ready to give or keep.